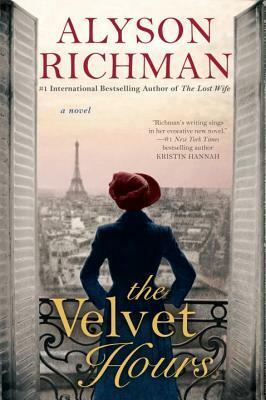 Goodreads: As Paris teeters on the edge of the German occupation, a young French woman closes the door to her late grandmother’s treasure-filled apartment, unsure if she’ll ever return. Kritters Thoughts: Solange Beaugiron learns later in her life that she has a grand grand mother. Her grandmother has lived a full life and Solange needing to be occupied gets to spend afternoons with her grandmother and hear the stories. As the war inches its way to France, Solange's father is called away to duty and Solange will move in with her grandmother and get a birds eye view of who her grandmother was and who she is now. I have read my fair share of World War II books - too many maybe! This one was interesting because World War II was juxtaposed to the Great War and Marthe de Florian's experiences during that war. I loved how her tales were interwoven into the story and it was done in the most simple and best way. As a semi spoiler, Solange may befriend a Jewish person and as the Germans are getting closer the Jewish community is hearing about negative happenings and are enticed to flee. I was absolutely biting my nails as Solange was impacted by the harm on Jewish people and as I knew what lay in the future, I was nervous for her and her friends. If you have read all of the World War II books read this one. If you haven't read this one. Just read it!